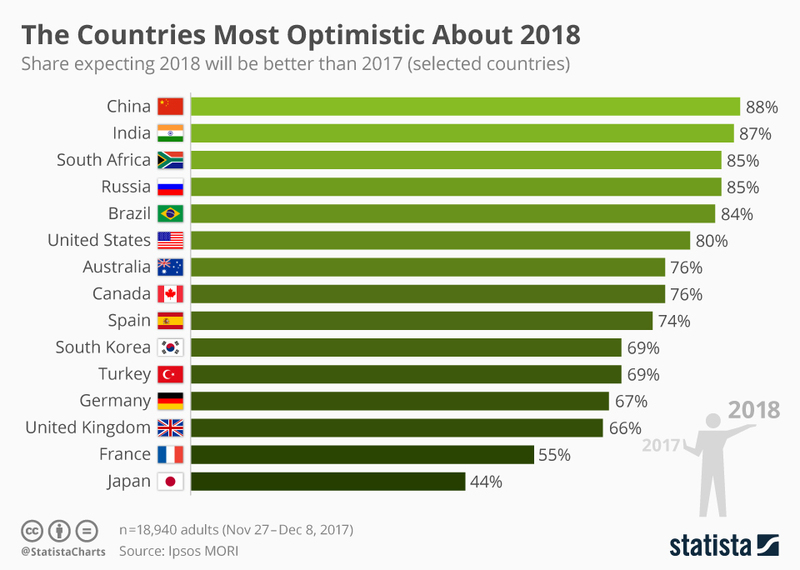 South Africans are among the most optimistic people in the world according to a poll conducted by Ipsos MORI before the African National Congress (ANC) conference in December 2017. In all likelihood they would be the most optimistic in the world if a poll were to be conducted now, as the financial markets have embraced the change in the ANC’s top leadership, which has strengthened the rand and then resulted in a drop in fuel prices, which has boosted consumer spending. A feature of the poll was that the BRICS (Brazil, Russia, India, China and South Africa) countries occupied the top spots as these countries recover from the 2015/2017 slowdown in economic growth. 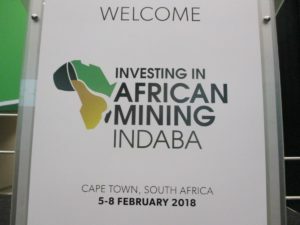 The more optimistic mood was also reflected at this year’s Investing in African Mining Indaba in Cape Town as delegates said the vibe was the best since the 2008 Global Financial Crisis according to a wide range of participants interviewed by Grocott’s Mail at the sidelines of this year’s event. 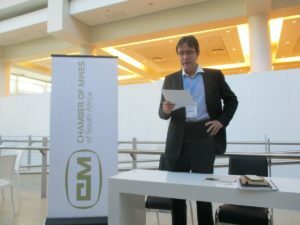 South African Chamber of Mines Chief Executive Officer Roger Baxter set the tone with the first event at the Mining Investment at 7am on February 5. He told Grocott’s Mail that last year was the worst year for the mining industry in terms of the regulatory environment. 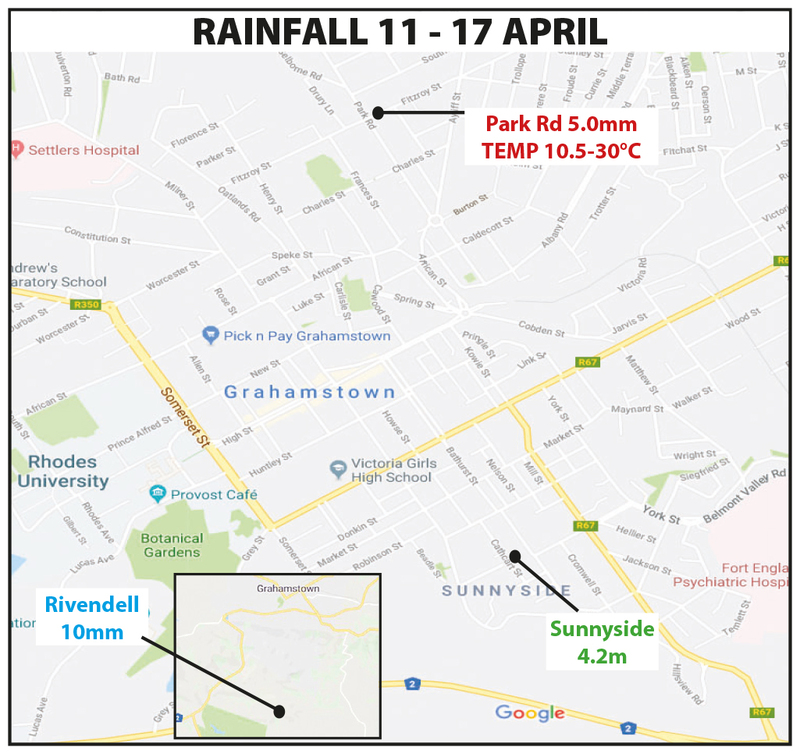 This was due to the unilateral imposition by the South African government of the third iteration of the Mining Charter, which wiped out more than R50 billion off the market capitalisation of South African mining companies. 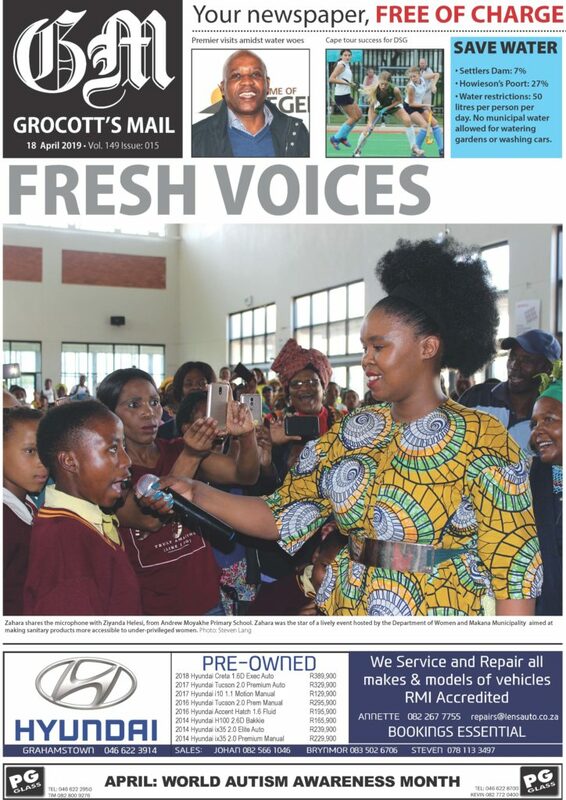 He was hopeful that under the new management team of African National Congress President Cyril Ramaphosa, who was elected in December 2017 and was a former leader of the mineworkers trade union, a new social compact could be reached that was mutually beneficial. 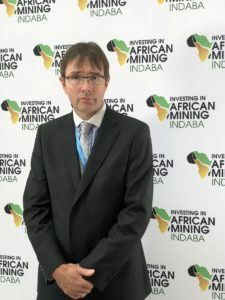 “I have been in discussion with senior leaders of the new team and I think we all want to create the 50,000 new mining jobs and the 100,000 new jobs in ancillary services that a regulatory environment conducive to long term mining investment would create. There are green shoots visible and I am positive about the year ahead,” he said. The Chamber of Mines surveyed its members towards the end of 2017 on what a more conducive regulatory environment would mean for fixed investment and job creation. The result was that the estimated capital spending in the mining sector (stretching over the next four years) amounted to more than R145 billion, but a more certain and conducive environment (covering at least another three years) would unlock an additional R122 billion or an 84% increase. Confidence in South Africa’s regulatory framework has all but vanished, so fixed investment in mining has been stagnant since 2009, while net investment has declined by 57% since 2008 and it is has been outside investors such as India’s Vedanta that have invested in new projects such as Gamsberg. The key benefit to exploring multi-commodity mineral deposits such as the Gamsberg is that these activities will feed the increasing industrial demand created by accelerating technological innovation in batteries. This demand is reflected in the ongoing upward trend in the so-called “battery minerals” prices of copper, cobalt, lithium, nickel and zinc. This is anticipation of the electric vehicle (EV) revolution, which will have an impact on commodities form 2020 onwards, as that is when the mass market in EV will take off in China and the US, with Europe following in the subsequent years. Commodities trading giant Glencore has for instance said that forecast EV-related metal demand will be significant from as early as 2020 – estimates are an additional 390,000 tons of copper; 85,000 tons of nickel and 24,000 tons of cobalt will be needed, yet major mines take at least a decade to move from project to producing mine. The mood change in mining is backed up by data with mining production increasing by 4.0% in 2017 after a 4.0% drop in 2016. 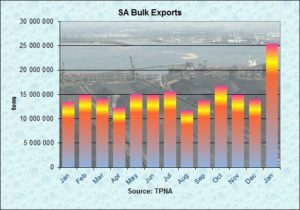 In January 2018 bulk export volumes shot up by 88.8% year-on-year to a record 25.4 million tonnes. Part of this increase should have been booked in December, but due to the Christmas holiday period the paper work was only done in January.